Laurie Simmons has been cast at times as a “reluctant feminist.” In this conversation, the artist brings together a panel of next-generation thinkers, Genevieve Gaignard, Cyrus Dunham, and Hannah Baer, to consider the tension between personal politics and the making of feminist art in a moment when gender is increasingly deconstructed and how the feminist reading of her work by a younger artists has changed her own perspective on her oeuvre. 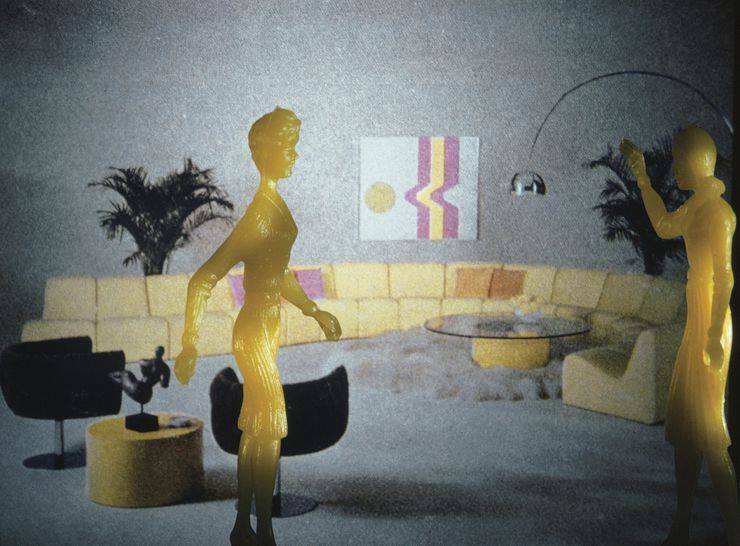 Laurie Simmons (b. 1949, Long Island, New York), a central figure of the Pictures Generation, is known for her staged photographs and films with paper dolls, finger puppets, ventriloquist dummies, and costumed dancers as “living objects,” animating a dollhouse world suffused with nostalgia and colored by an adult’s memories, longings, and regrets. Simmons’s work blends psychological, political, and conceptual approaches to art making—transforming photography’s propensity to objectify people, especially women, into a sustained critique of the medium. Mining childhood memories and media constructions of gender roles, her photographs are charged with an eerie, dream-like quality. On first glance, her works often appear whimsical, but there is a disquieting aspect to Simmons’s child’s play, as her characters struggle over identity in an environment in which the value placed on consumption, designer objects, and domestic space is inflated to absurd proportions. Genevieve Gaignard is a Los Angeles-based artist whose work focuses on installation, photographic self-portraiture, and sculpture to explore race, femininity, class and their various intersections. The daughter of a black father and white mother, Gaignard’s youth was marked by a strong sense of invisibility. Gaignard interrogates notions of “passing” by positioning her own female body as the chief site of exploration—challenging viewers to navigate the powers and anxieties of intersectional identity. Cyrus Dunham is a trans writer living in Los Angeles. Their first book, A Year Without A Name, is forthcoming from Little, Brown and Company in 2019. Hannah Baer runs the meme account @malefragility. She is the author of a book of prose, trans girl suicide museum, forthcoming from Hesse Press in 2019. Her work has included organizing around economic and racial justice, police accountability, and mental health liberation. She lives in New York City and is currently pursuing a doctoral degree in clinical psychology.